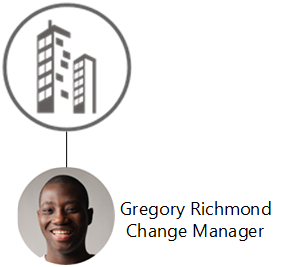 Gregory Richmond works at Inflight Enterprises an IT service provider, at the one-man department IT Changes. This department accepts change requests from internal- as well as external customers and distributes these changes within the organization. Change requests can be announced by phone and email. 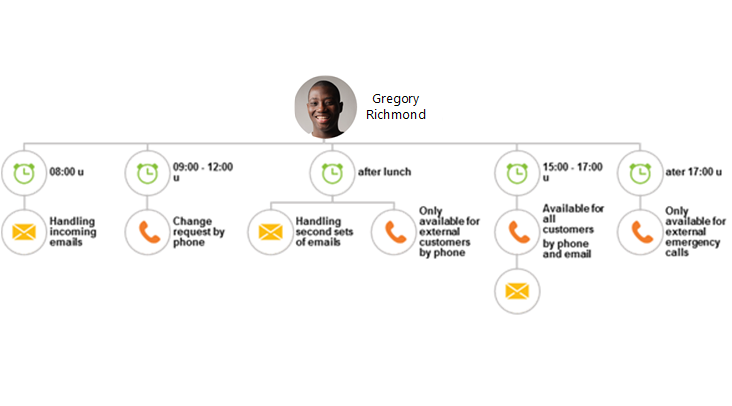 Statistics reveal that customers that announce change requests by phone are served faster. Also, internal customers are helped faster than external customers, because internal customers often announce a change request and follow-up this request by visiting the IT Changes department. To reduce the difference in lead times, Inflight Enterprises approved Gregs proposal to introduce the Anywhere365 Unified Contact Center as his Personal Assistant. Gregory Richmond starts every day at 8:00 AM with handling incoming emails, between 9:00 AM and 12:00 PM customers can file change requests by phone. After his lunch break Gregory starts handling the second set of emails and is only available to external customers by phone. Between 15:00 PM and 17:00 PM he is available for all customers by both email and phone. During business hours it is not possible to leave a voicemail, after business hours only internal customers are able to leave a voicemail. In case of emergency, external customers can call after business hours. These calls are redirected to Gregs cell phone. First, the Skills “Call”, Chat Skill “Email” and Forward Skill "ForwardMobile" should be created. Fifth, the endpoints for the direct phone number as well as the emails should be created. Add "SIP:Email@INFLIGHT_ENTERPRISES.com" as Modality Endpoint with Modality Chat and Skill Email. Add "SIP:InternalCalls@INFLIGHT_ENTERPRISES.com" as Modality Endpoint with ParentQuestion "Question 0-1". Sixth, Timer Jobs should be configured to make the call flow dynamically as described in the situation of this scenario. 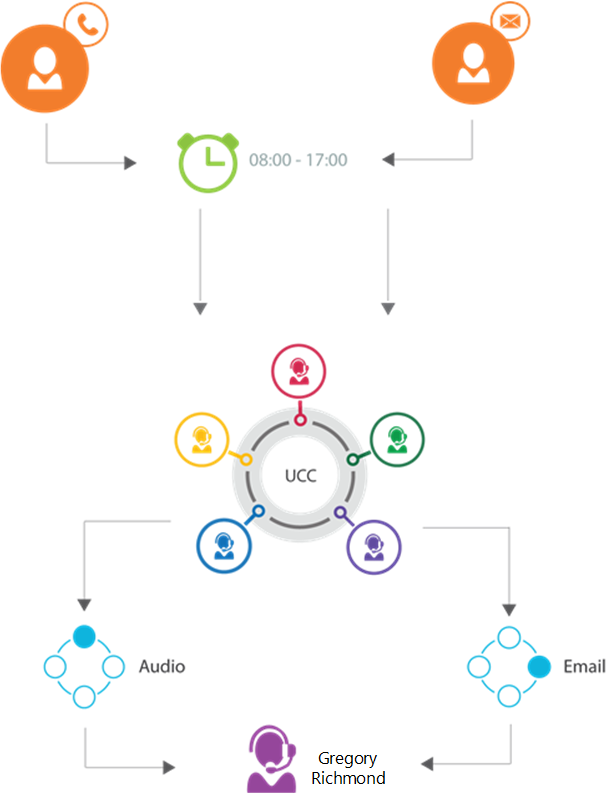 Timer Jobs provide the possibility to make changes to the UCC at certain times throughout the day. Below you can find the required Timer Jobs and the changes it makes sorting by time.